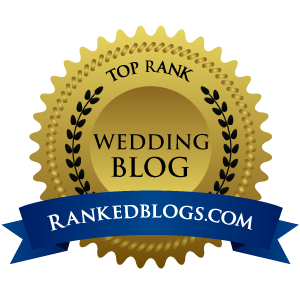 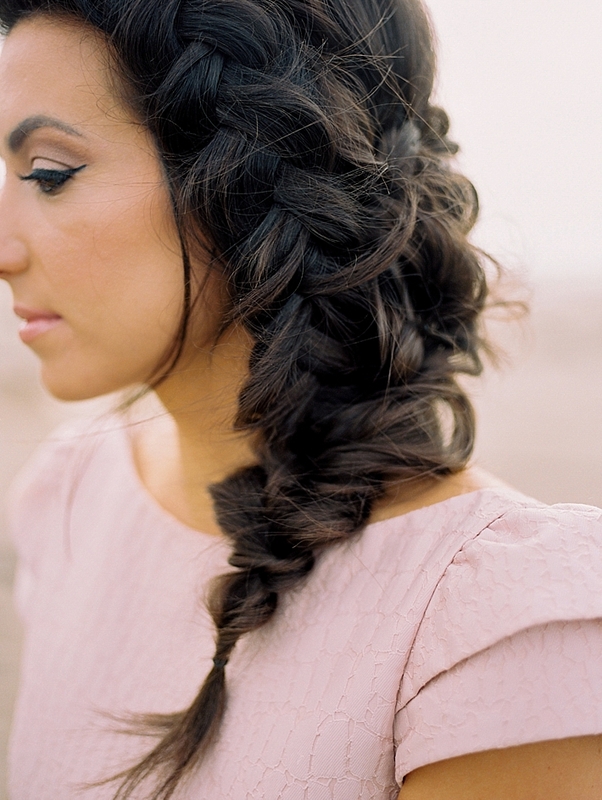 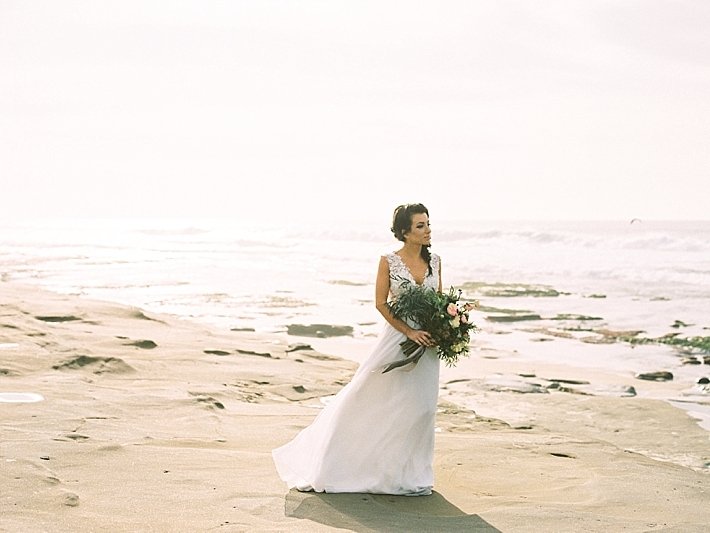 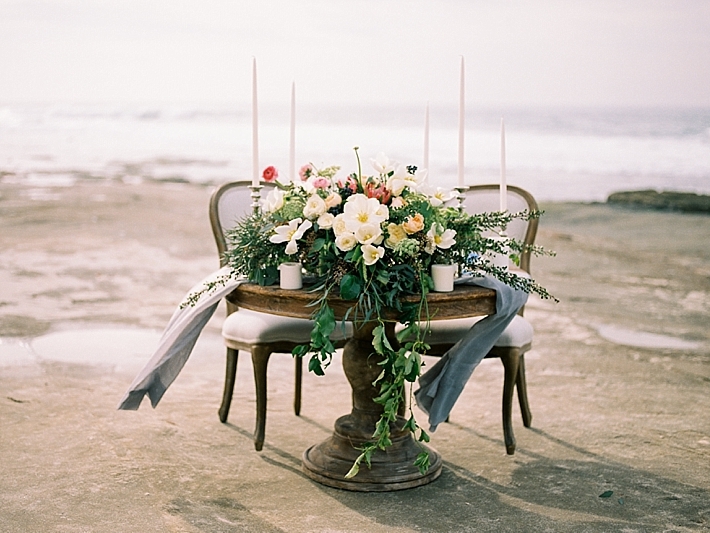 "The inspiration for this shoot came from wanting to create a very natural, organic and romantic Southern California feel, and what is more natural than various wooden elements, lots of greenery, and sea glass on a California beach?! 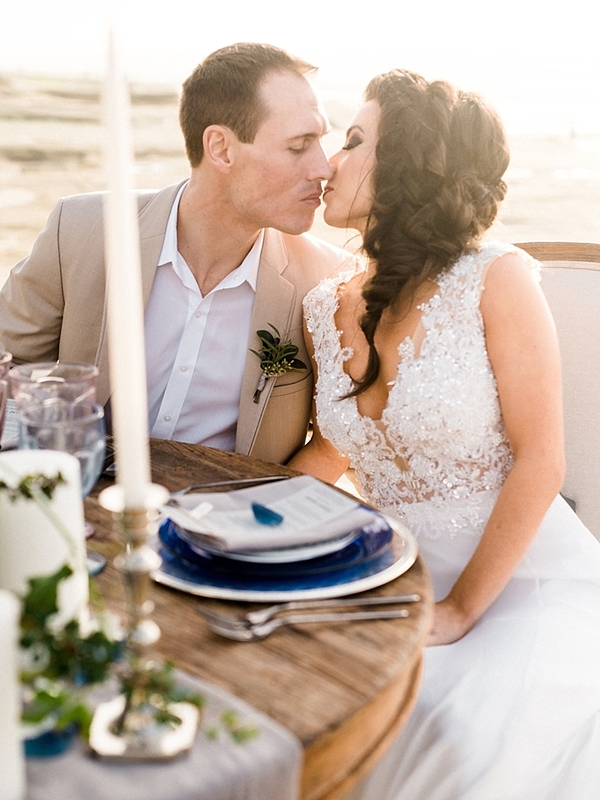 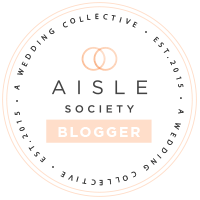 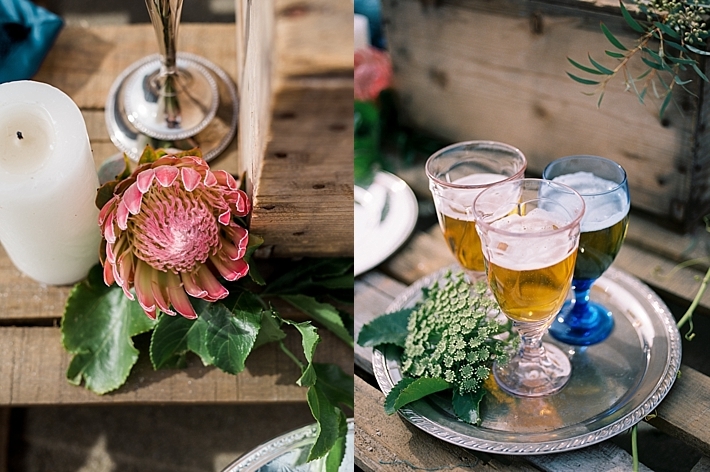 Every detail, from the wooden sweet head table, to the wooden crate cake table, to the "wooden" stationery, to the breathtaking, organic floral was meticulously chosen to serve that purpose. 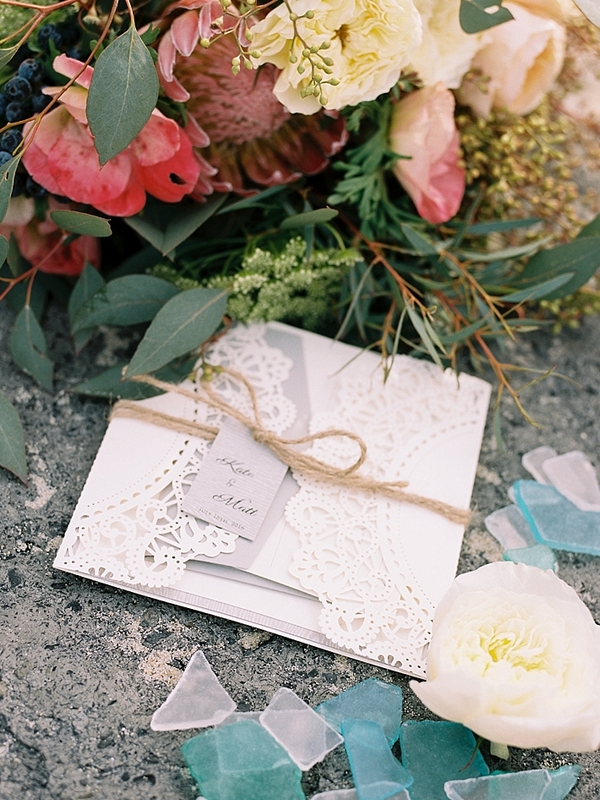 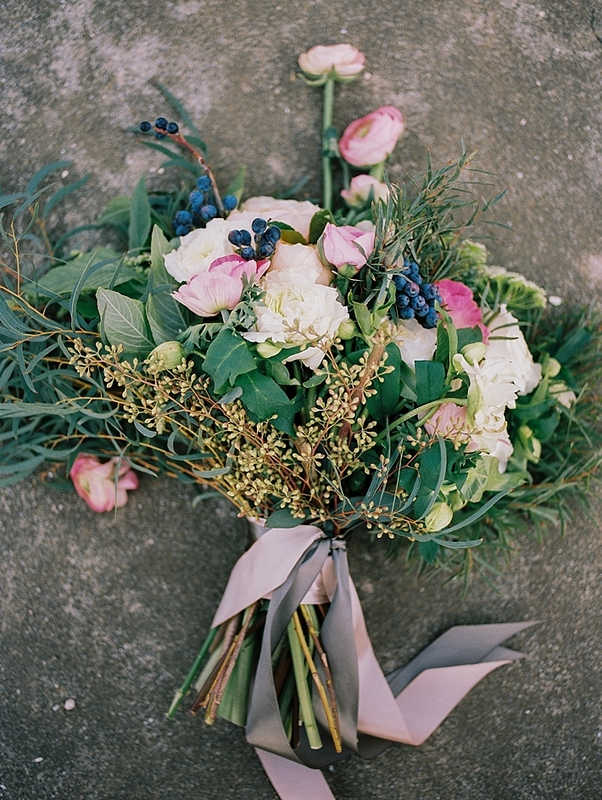 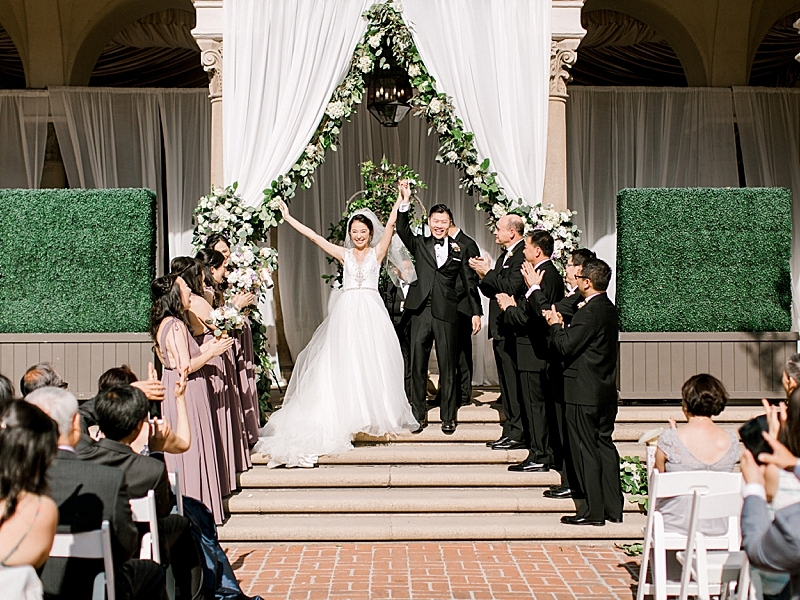 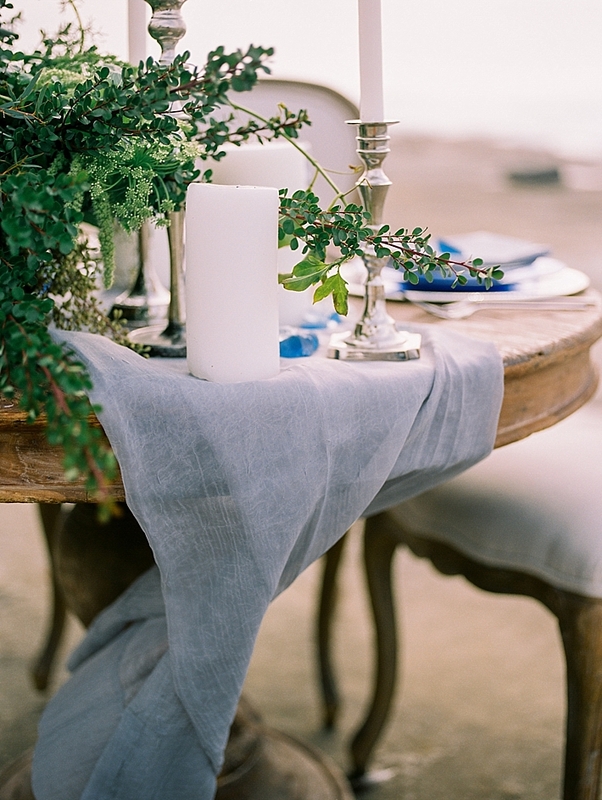 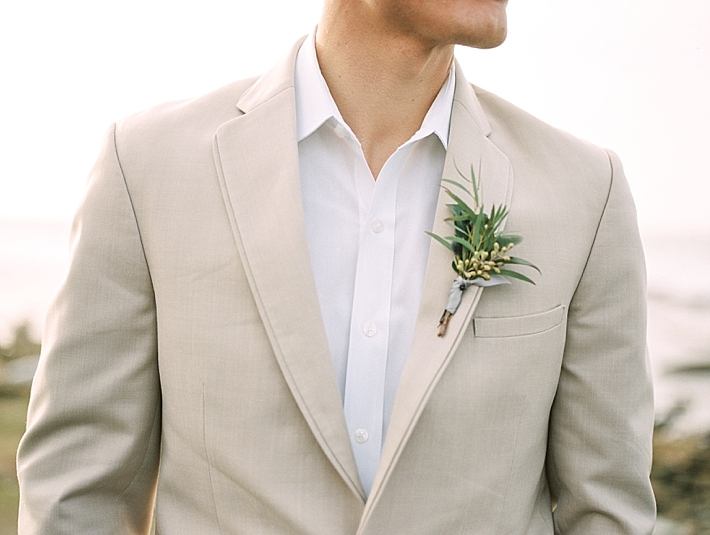 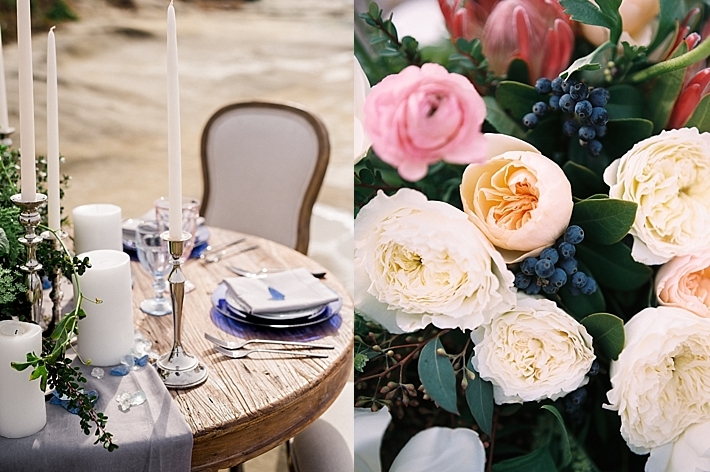 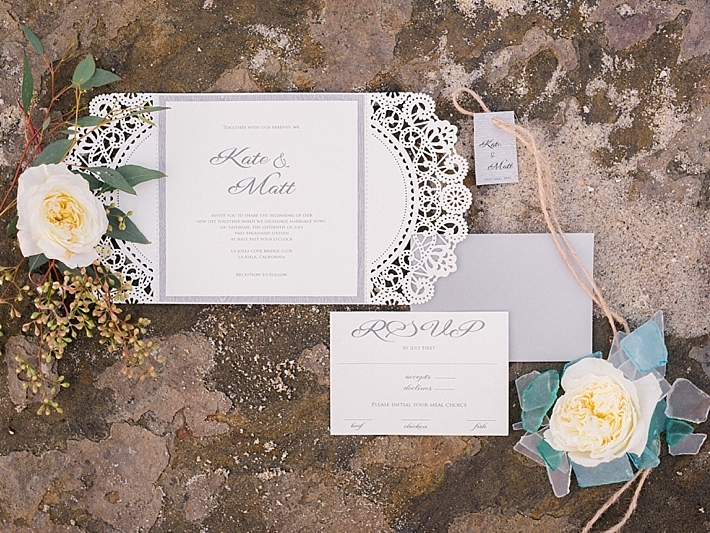 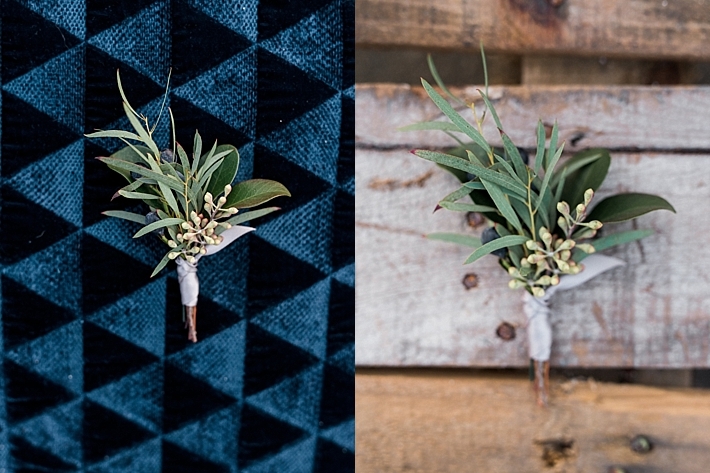 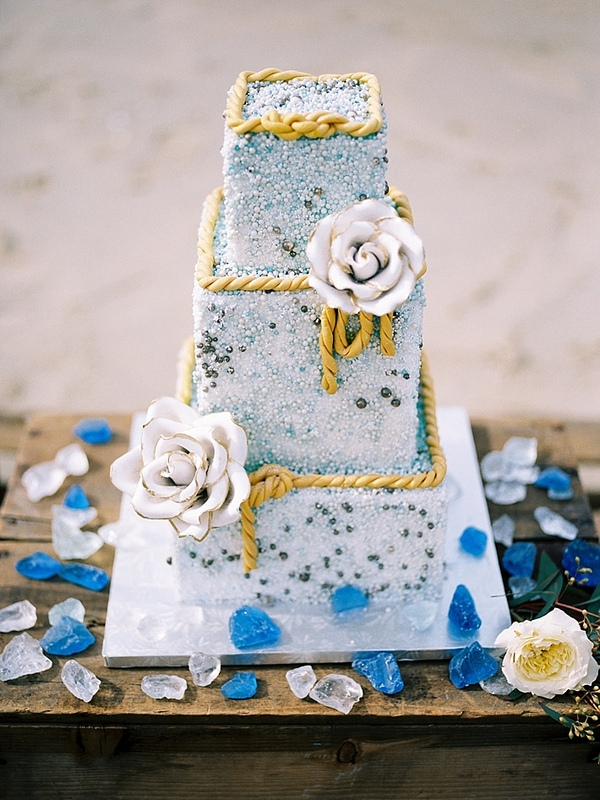 In wanting to keep a very natural feel, we chose a color pallate consisting of ocean blue, gray, seafoam and ivory. 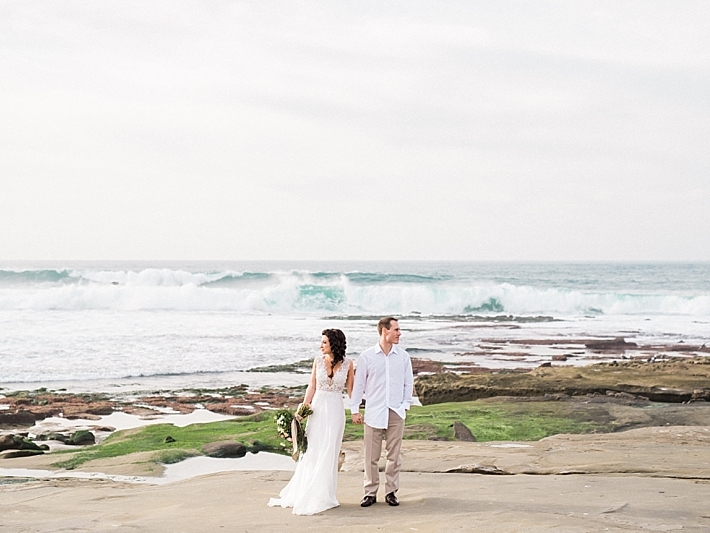 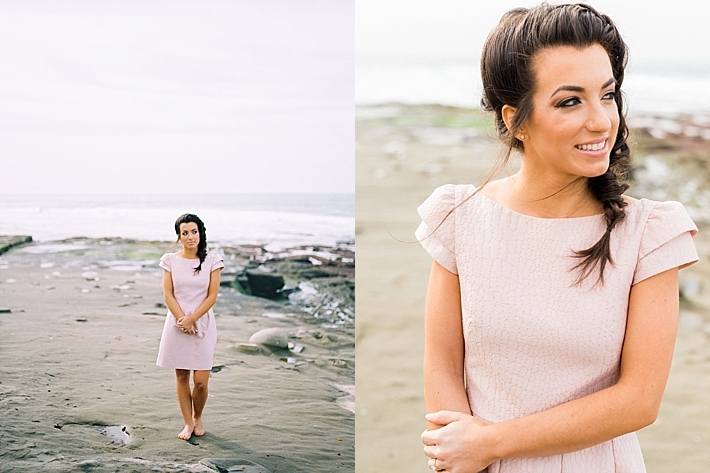 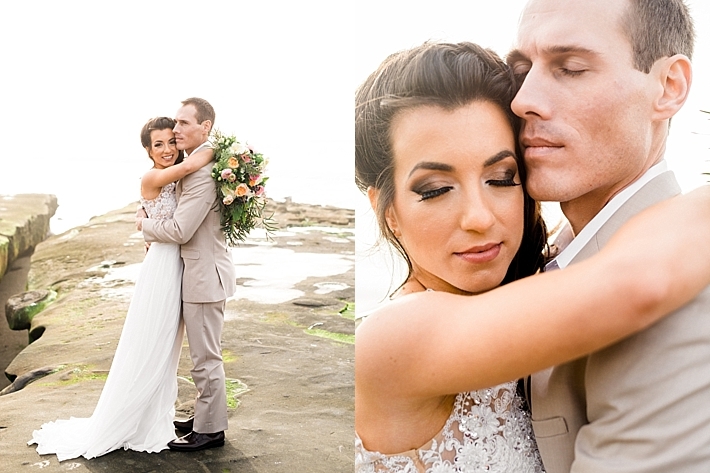 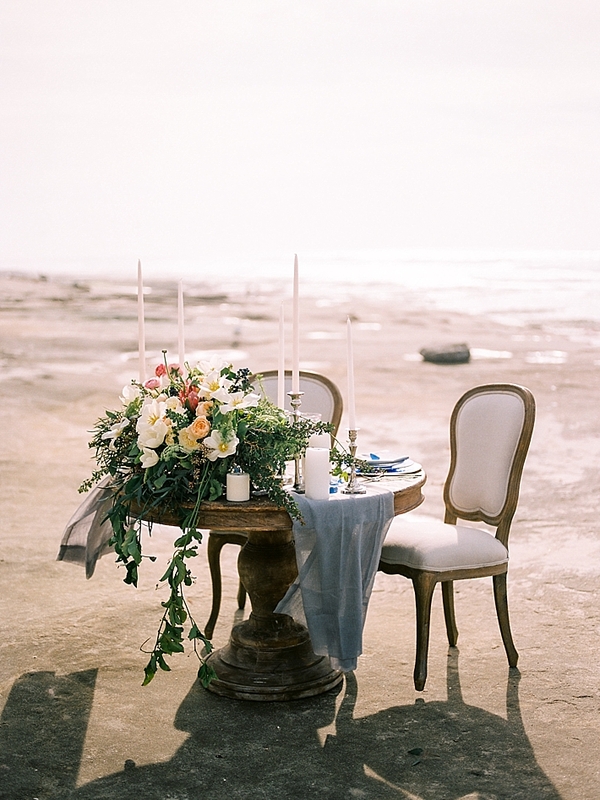 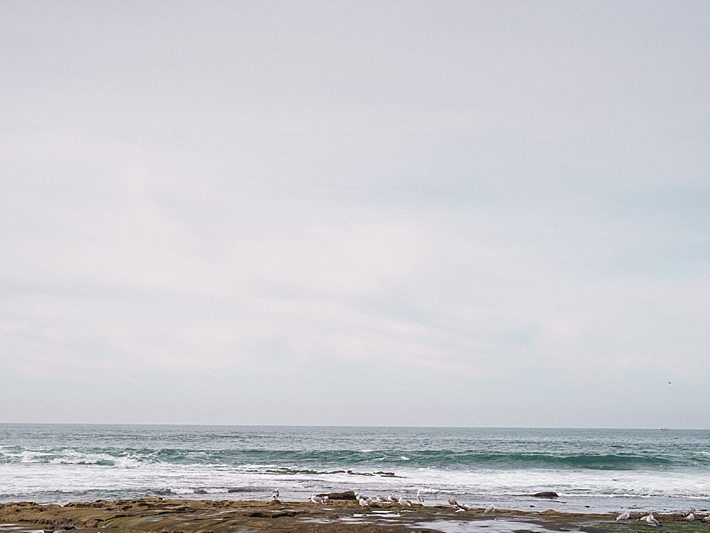 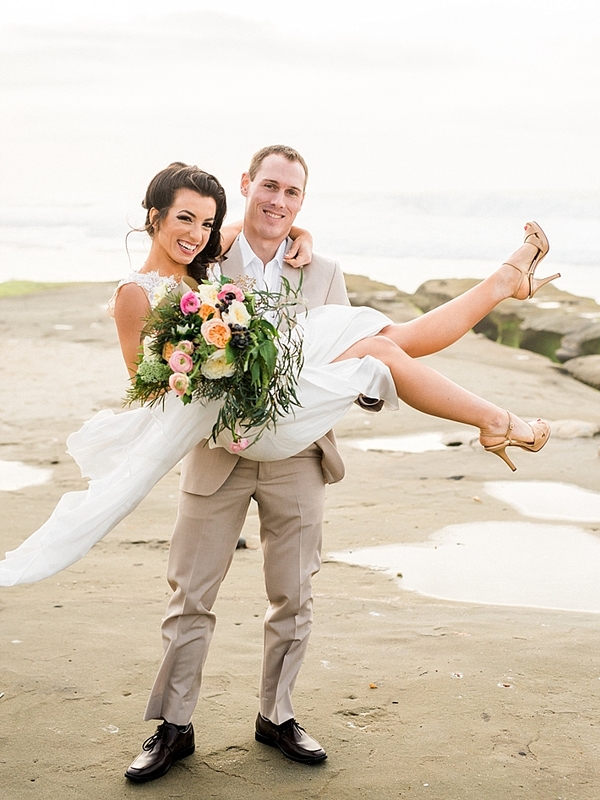 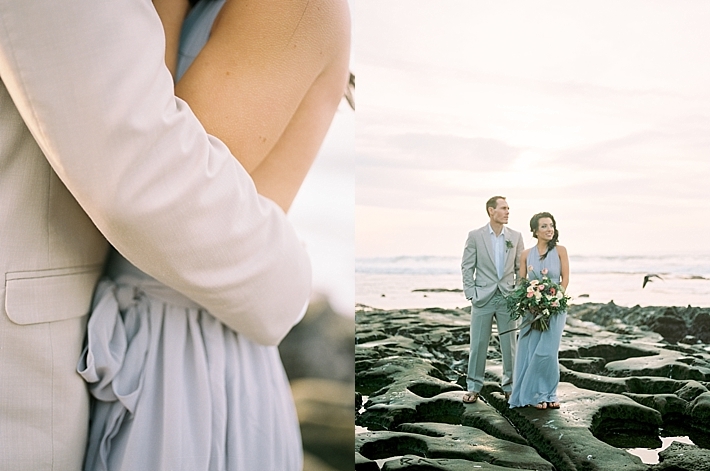 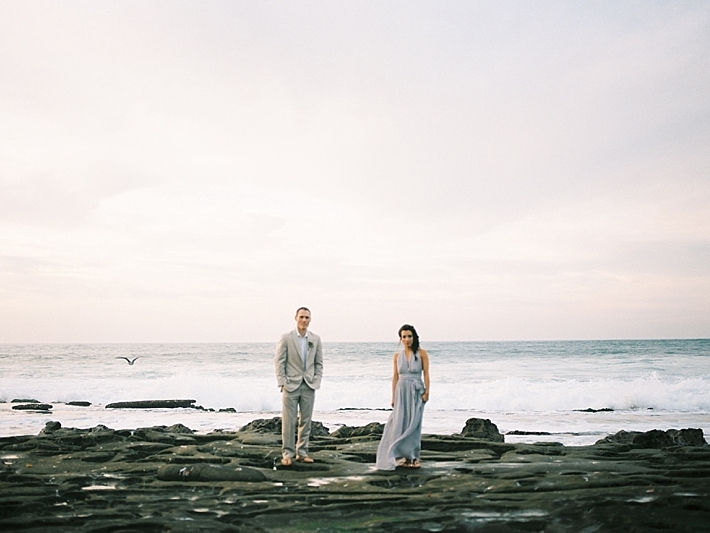 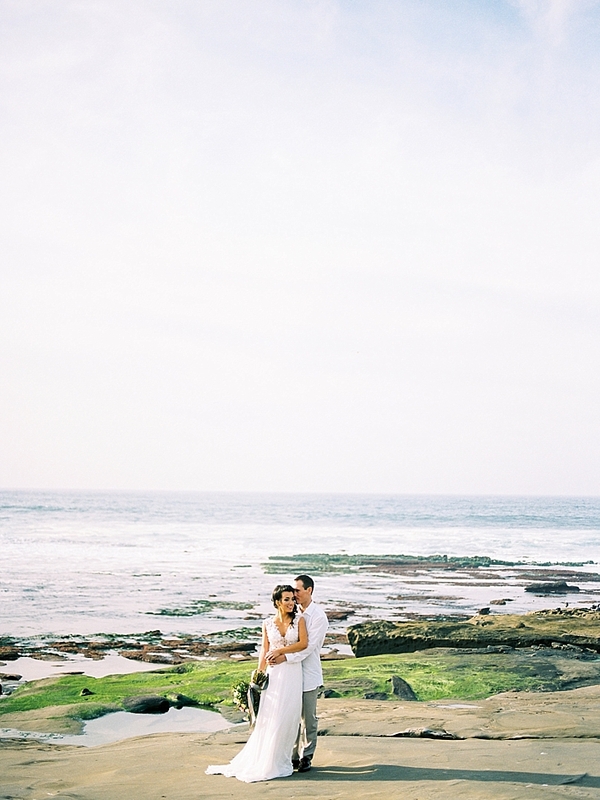 These colors perfectly complemented the rocky beach backdrop, and helped maintain a very organic feel. 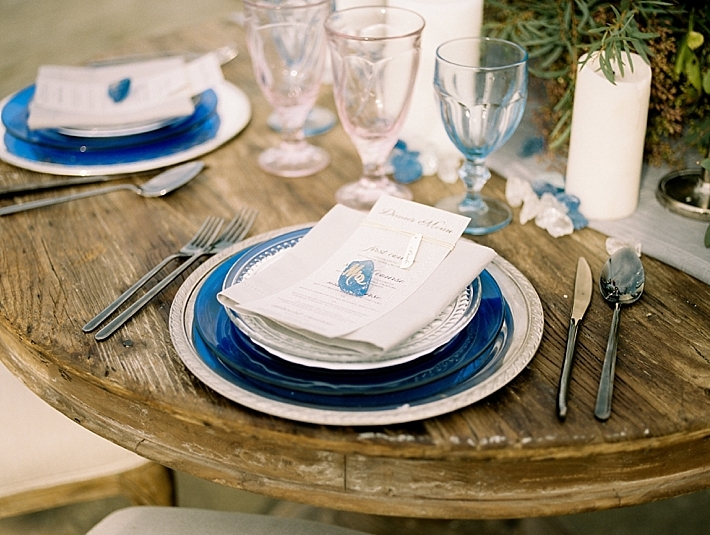 While we wanted to create a very organic feel, we also wanted it to speak Southern California. 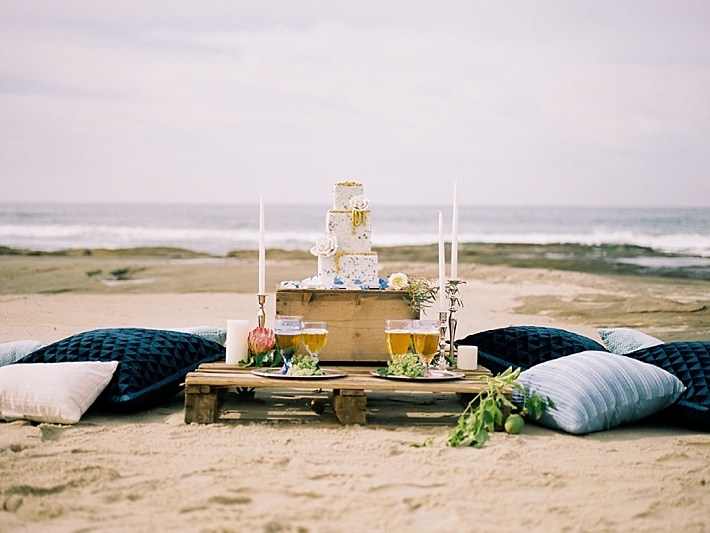 Because SoCal is such a relaxed environment, we thought it only appropriate to have a create "lounge" with oversized pillows - no need for actual lounge furniture here! 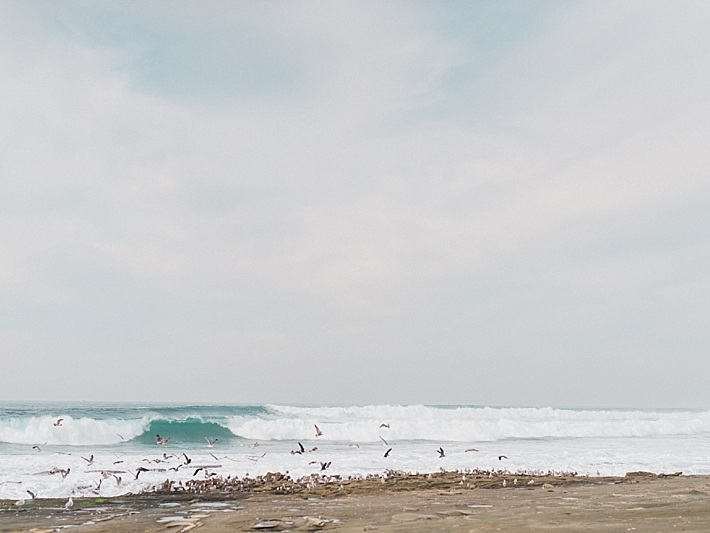 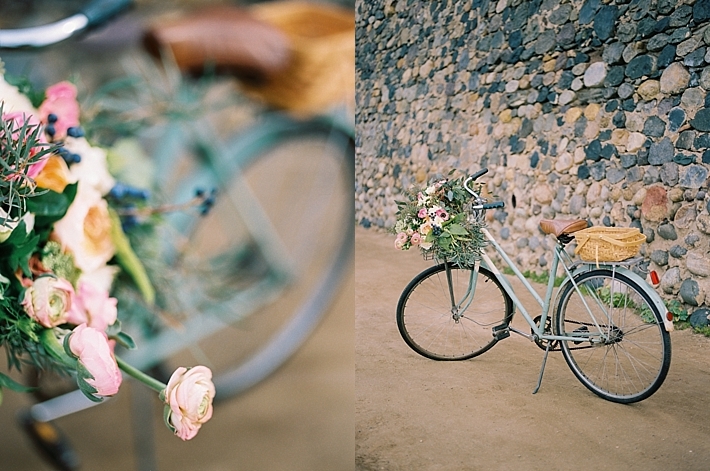 Because there are also beach cruisers everywhere, we wanted to tie that into our inspiration! 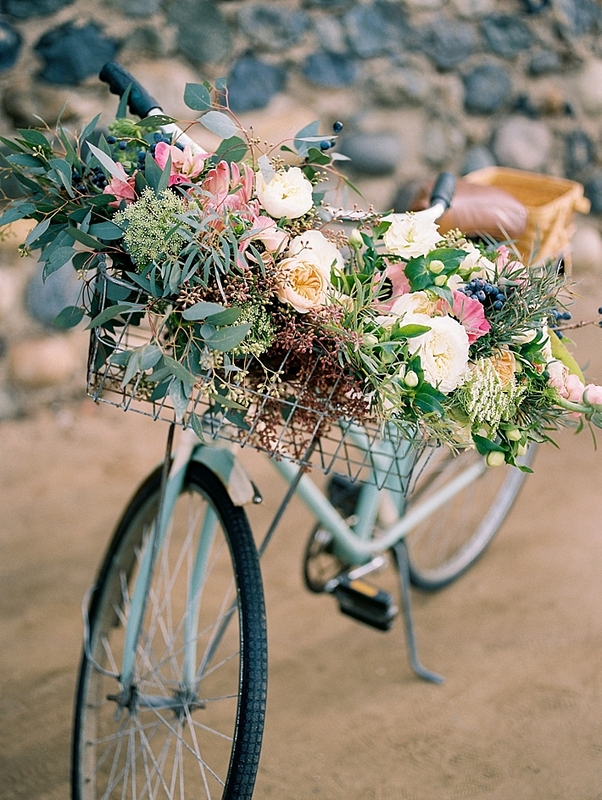 We chose an older / vintage seafoam colored bike to fulfill this role and thought it only appropriate to fill the front basket with dreamy flowers!